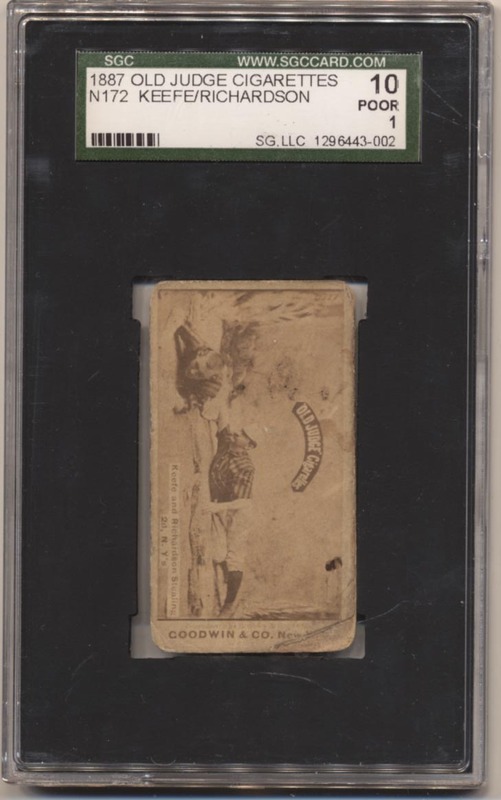 Scarce card, this is another one of the great multi-player cards in the Old Judge set. Lower grade, this has a respectable image and general wear on the front. The corners show lots of wear, the back has no paper loss but a mark. Despite its admitted condition issues, this is still a card with a HOFer that is well worth adding to almost any Old Judge collection.